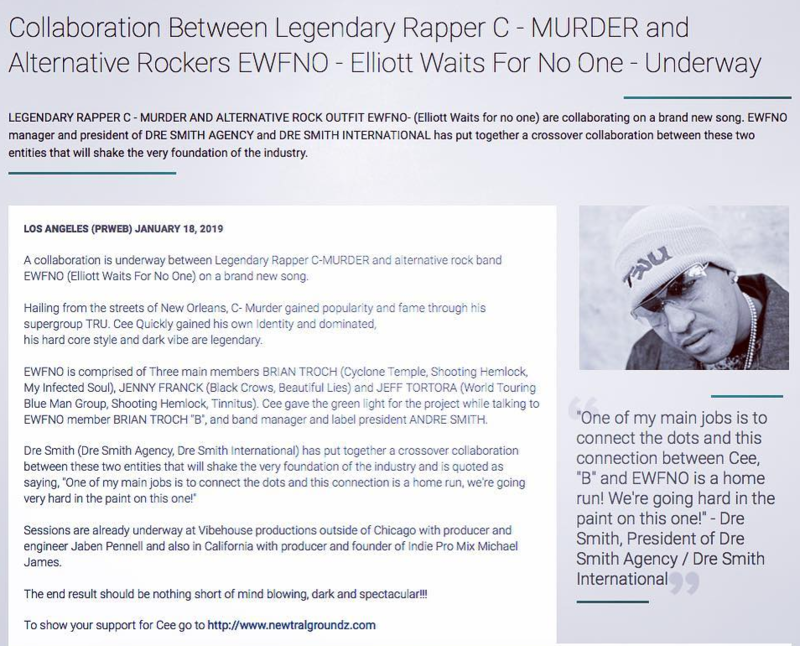 Rapper, C-Murder, who made a splash in the 1990s and early 2000s with albums, such as Life Or Death, has given the green light for members of Elliott Waits For No One and writer/producer/mixer, Michael James (Hole, New Radicals, L7) to work on new material for a future release. An announcement of the sessions was made in January. 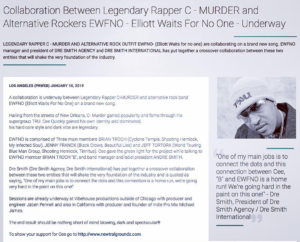 C-Murder (Corey Miller) was convicted of a murder in 2002 and has been imprisoned since 2009. Last year two witnesses recanted their testimony and Miller is pushing for a new trial.